I had a chance to spend a couple days recently in Miami in between press trips. I hadn’t been to Miami in 30 years. 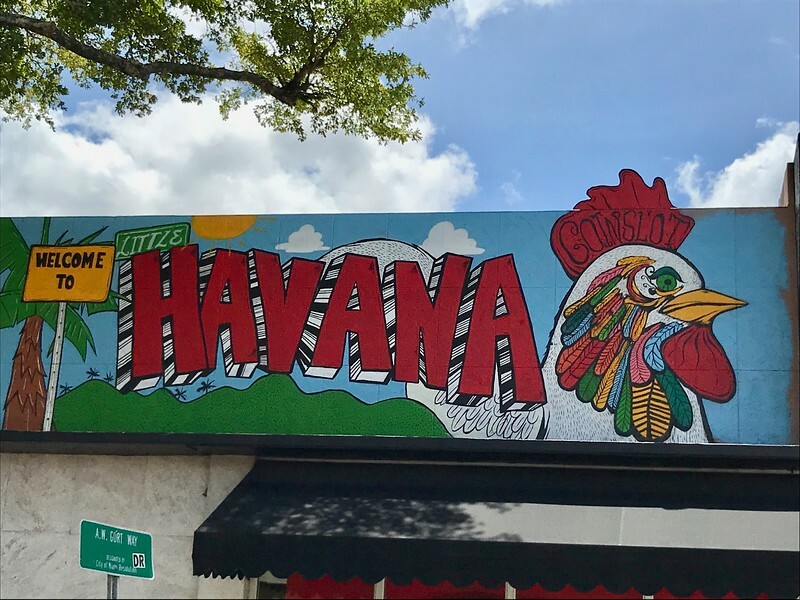 The highlights of my trip were a food and Art Deco tour that I found on Viator’s walking tour list through Miami Beach and a visit to little Havana. 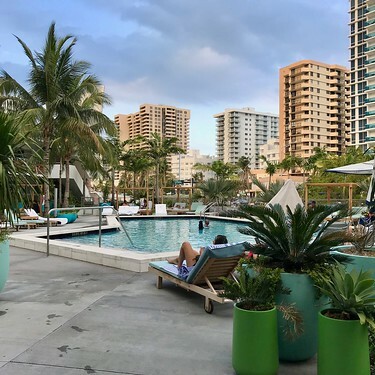 For more about the food tour part of my trip read 5 Great Places to Eat (and a Great Food Tour) – Miami Beach, Florida. 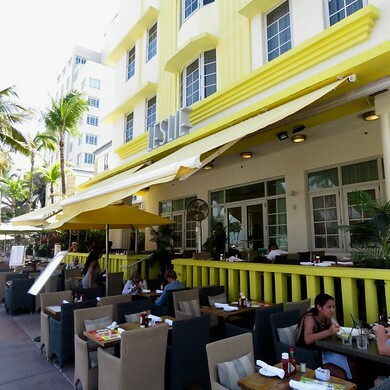 Lincoln Road is the place where locals and tourists alike come to see and be seen. 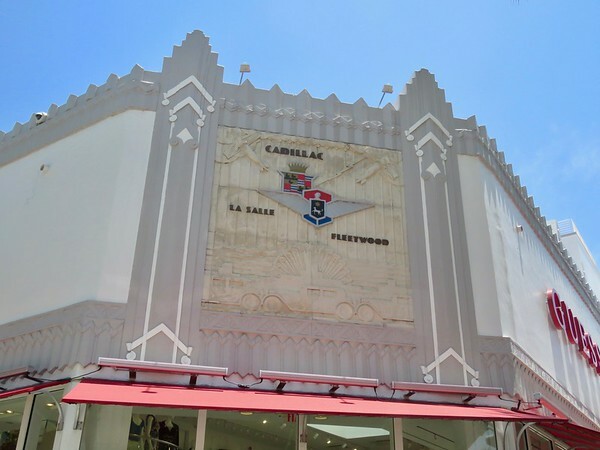 It is also one of the best places to see repurposed art deco buildings. The area was developed by the same architect (Morris Lapidus) who developed the Hotel Fontainebleau. 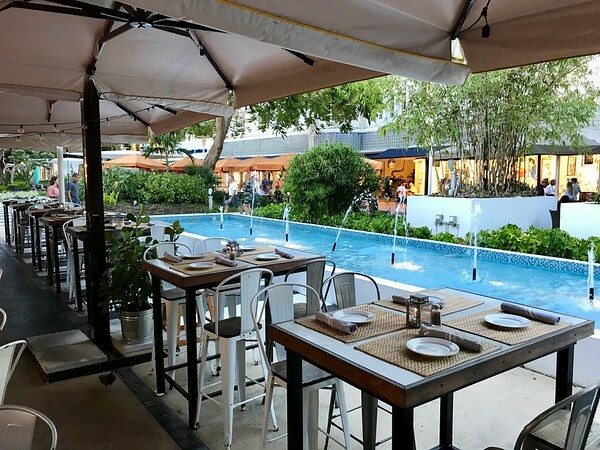 When that hotel added upscale shops in it’s lobby it took business away from the stores on Lincoln Road. But Lapidus had a solution. He created what may have been the first downtown pedestrian mall in the United States. One shouldn’t walk through the Lincoln Road Mall without looking up at the architecture. Many of the buildings which are now high-end shops and restaurants still have clues to their original purpose. This Guess store, for instance, was once a Cadillac dealership. 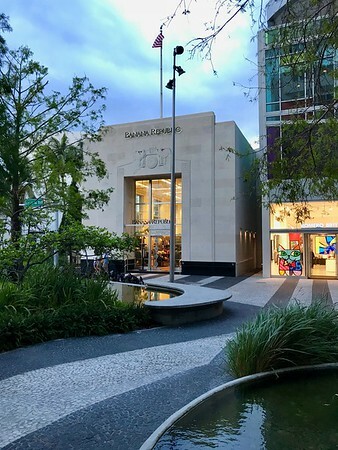 Can you guess that this Banana Republic store used to be a bank? But the best building of all is the old Lincoln Theatre which has been turned into an H&M store. 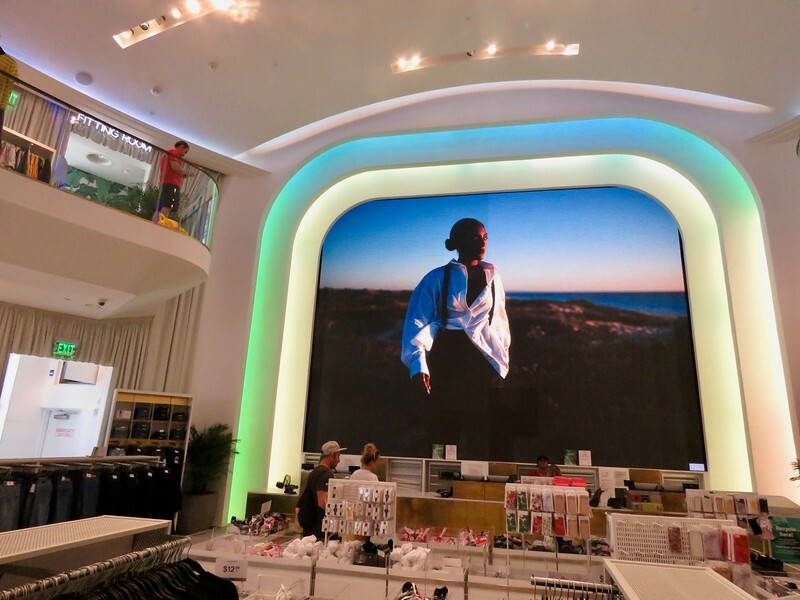 If you go inside the 24,000 square foot store they still have the big screen and the balcony. My guide Faruk from Food Tours in Miami pointed out the DJ station below the balcony and said the store still has musical events but I could not find information on their website for the schedule. 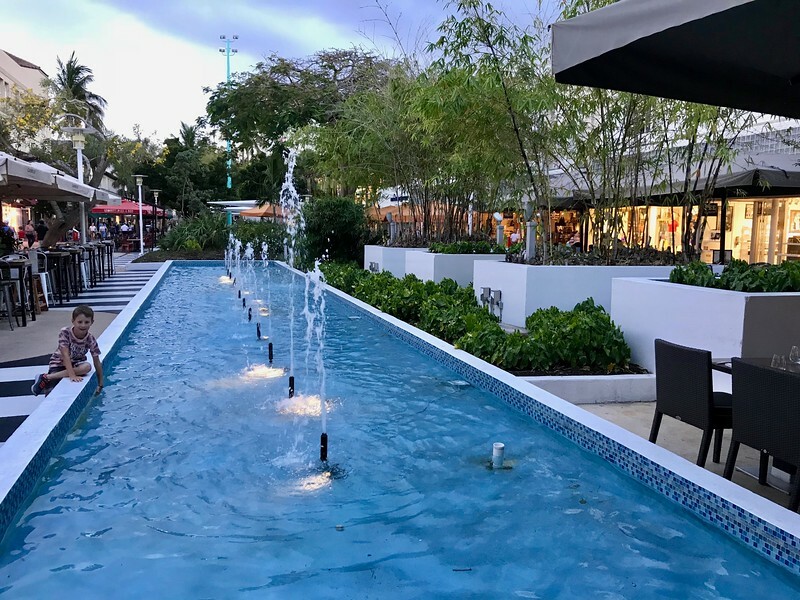 The Lincoln Road Mall has lots of fountains and public art many restaurants have tables for a beautiful outdoor dining spot. Of course this is Florida so find some shade if you sit here in the heat of the day. 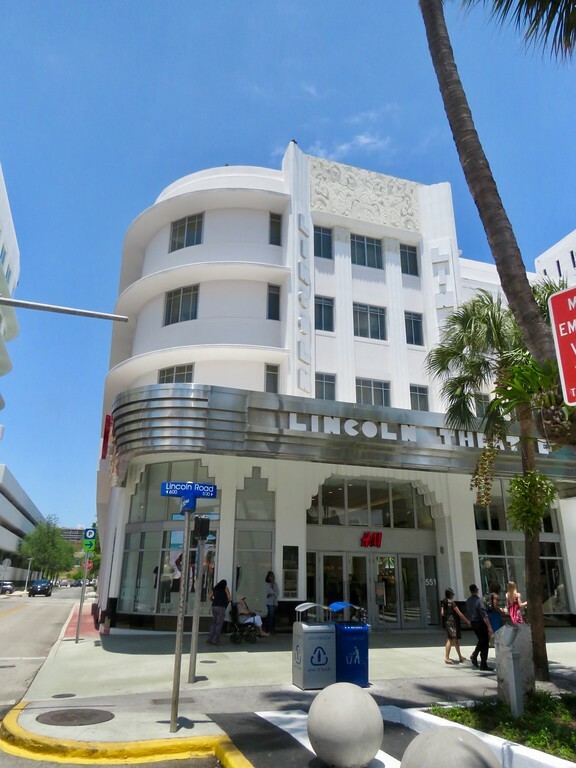 The Lincoln Road Mall and some of the area around it is definitely high rent. For an interesting architectural quirk, look up at the top floor of the parking garage at the corner of Alton and Lincoln. The man who built this parking garage built himself an apartment on the top floor. 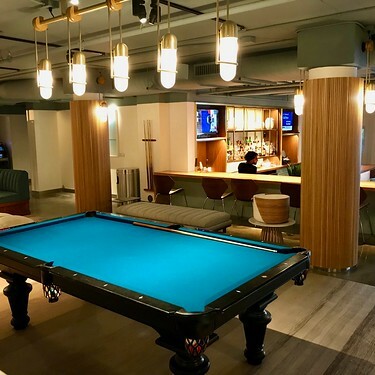 I had never heard of a parking structure with a penthouse before. 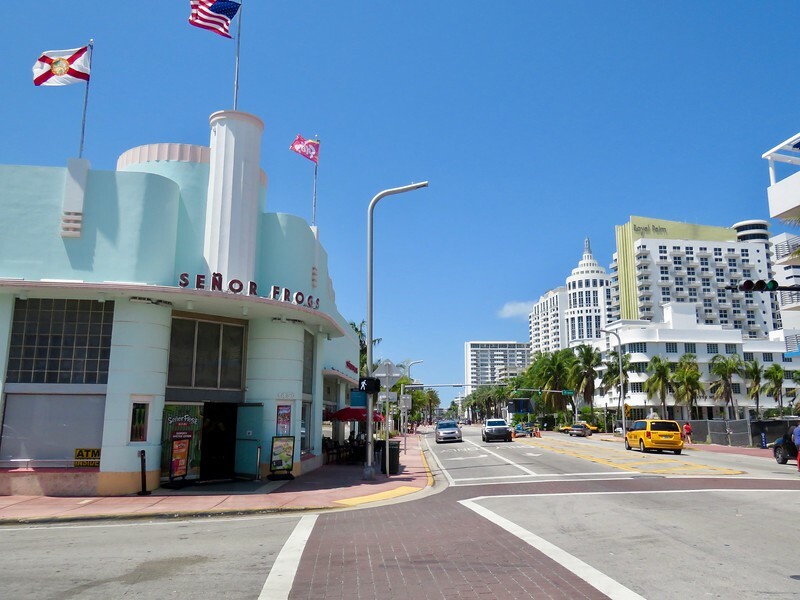 The Miami Beach Architectural District was the first neighborhood from the 20th century to be registered with the National Register of Historic Places. There are more than 800 buildings built from 1923-1943 in the Art Deco style in the area. 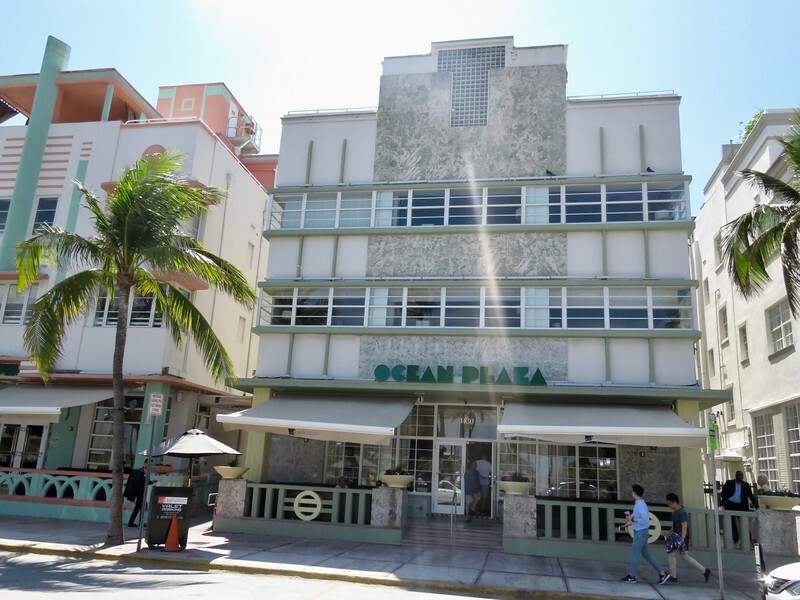 Unlike the Art Deco style in New York, the Miami style uses a lot of pastel colors. Some of the buildings are now art deco hotels, some are still offices and private residences. 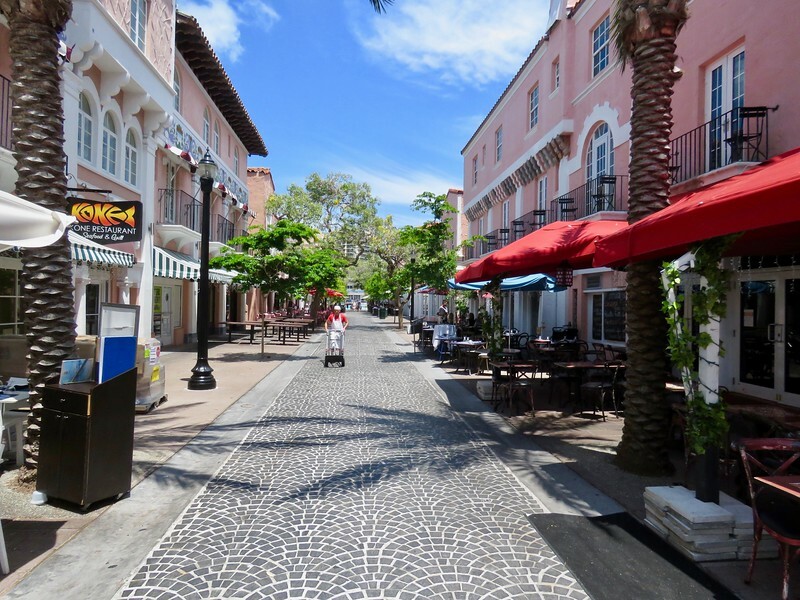 Another cute neighborhood is the tiny Espanola Way which was conceived as a “historic Spanish village” when it was built in 1925. It has cobblestones and cafes on the sidewalks. It is only 3 blocks south of Lincoln Road. 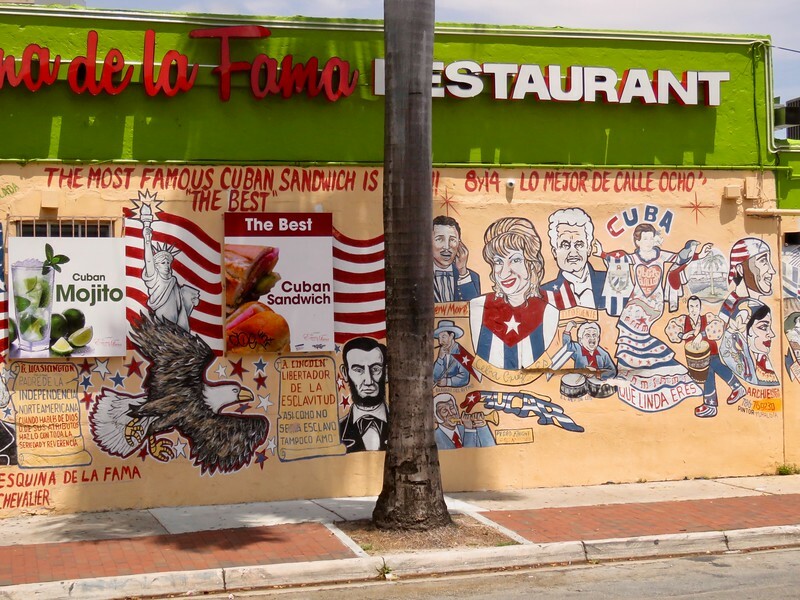 One of the signature neighborhoods in Miami, closer to downtown is Little Havana. This is a neighborhood that swelled with Cubans after the communist revolution in Cuba. 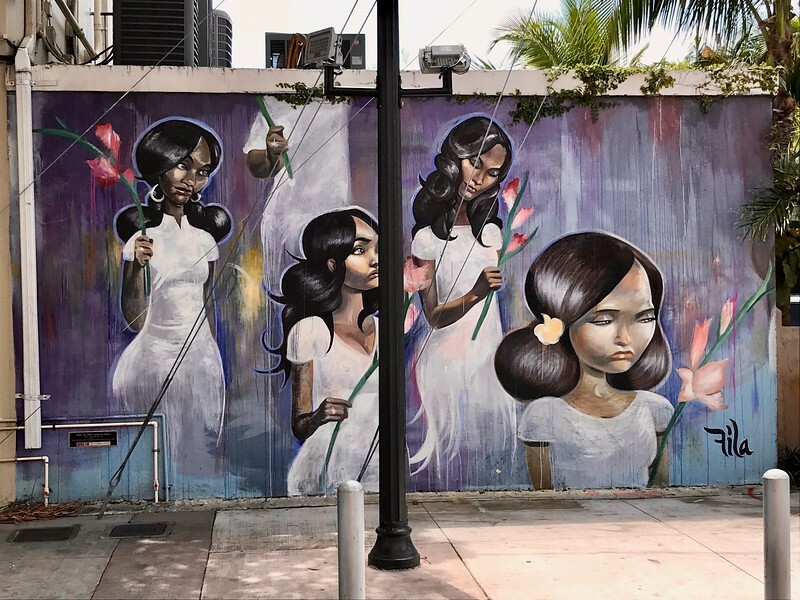 It is a colorful neighborhood filled with street art along its main drag Calle Ocho (SW 8th St). 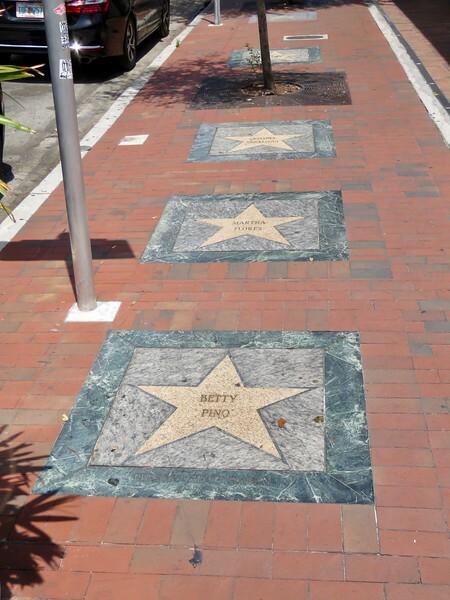 Calle Ocho also has a Walk of Fame just for Latin American stars. I will admit that I didn’t know even a quarter of the 30+ celebrities who are honored there, but I did recognize such names as Gloria Estefan, the Boxer Roberto Duran, and María Conchita Alonso. 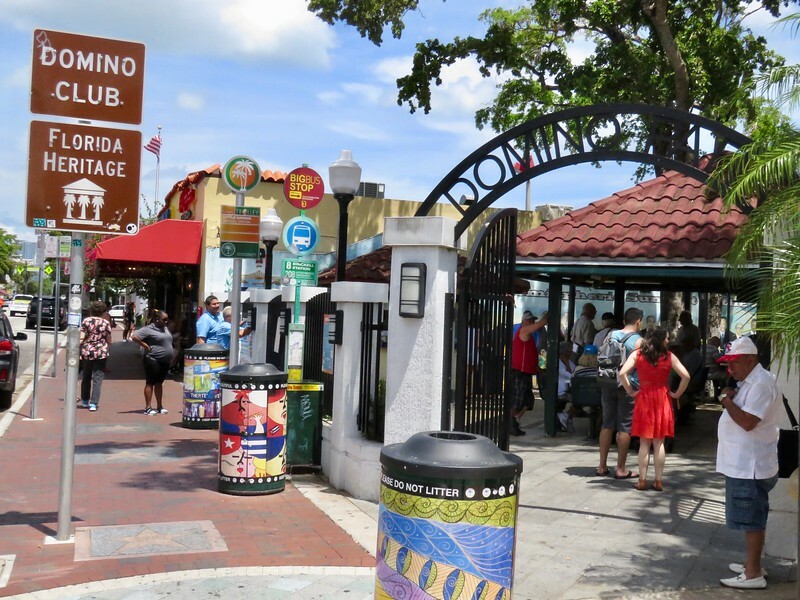 What I loved about Little Havana is that even though it is touristy there are still some places that make it feel more local an authentic like the domino club where elderly Cuban-Americans (mostly men) are still playing cutthroat games while tourists gawk. I stopped at one of the many Cuban restaurants for a lunch of pork, plantains and rice. 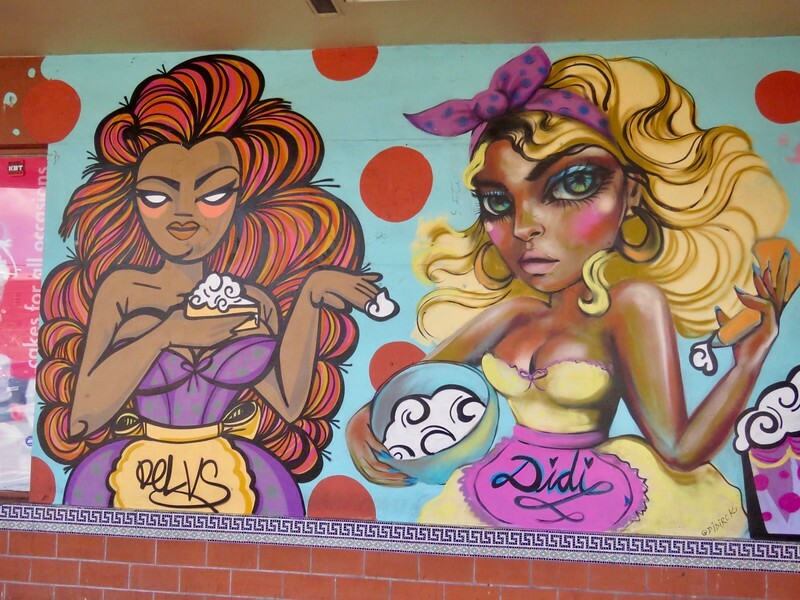 If I go back to Miami I would love to take a tour of Little Havana like the food tour I took of South Beach. I feel like I would have had a better idea where to go and what to do with a local tour guide. 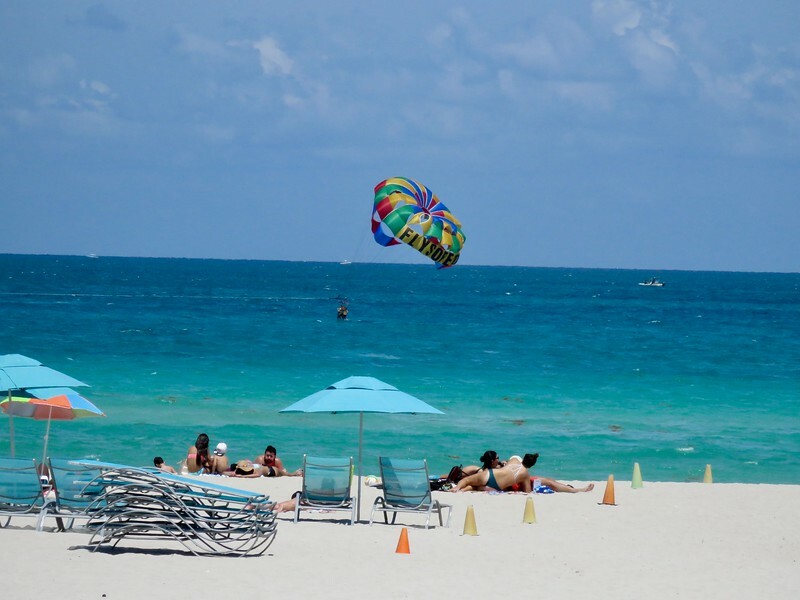 Obviously Miami has a beach or two, and much of the tourism in the city is drawn to the beautiful beaches of Miami Beach. 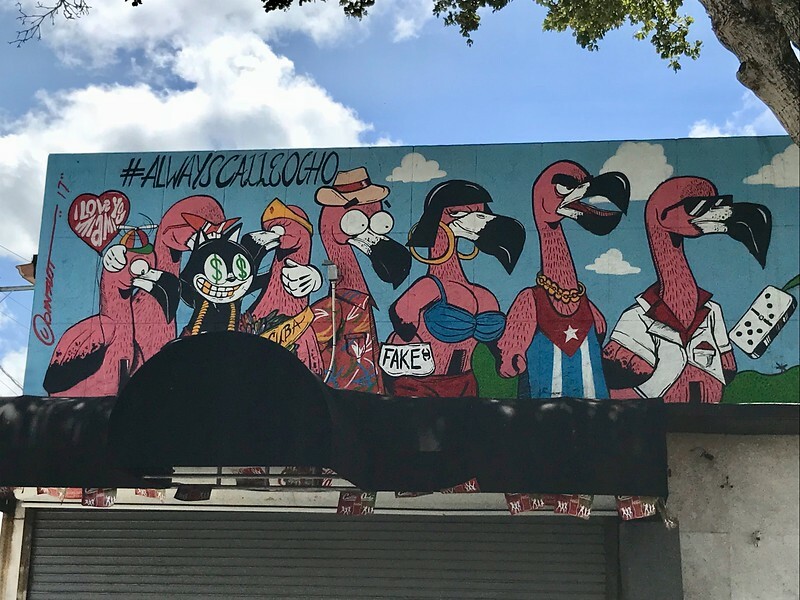 But I was interested in exploring some of Miami‘s culture on this particular trip instead. I stayed two nights at The Gates Hotel South Beach (courtesy of the hotel and the Miami Tourism board). 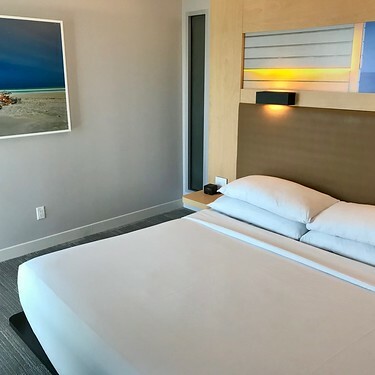 The hotel is a Doubletree by Hilton but had more of a boutique hotel vibe, complete with that new boutique hotel scent. It was super easy to get to from the airport. I took a bus from the airport transportation center (take the train to the rental car center / transportation hub) that let me off a block or two from the hotel. The hotel was also just around the corner from the free trollies that run the length of South Beach so I found I did not need or want a rental car. The pool area was nice. The Gates is not directly on the beach but there is a free shuttle that will take you to the hotel area on the beach. Beach chairs, umbrellas and small cabanas are available for hotel guests via the beach entry point at 21st Street. 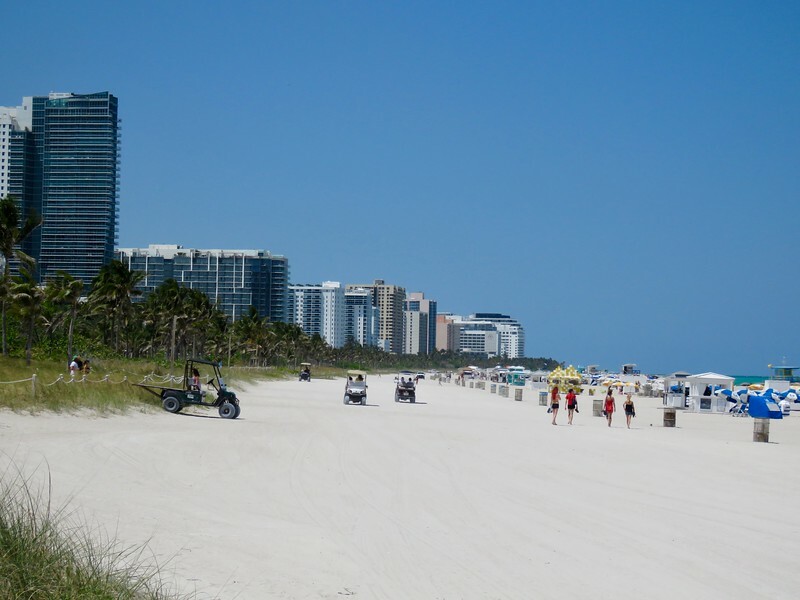 There is also a bike and walking path that runs between the beach and the beach front hotels. 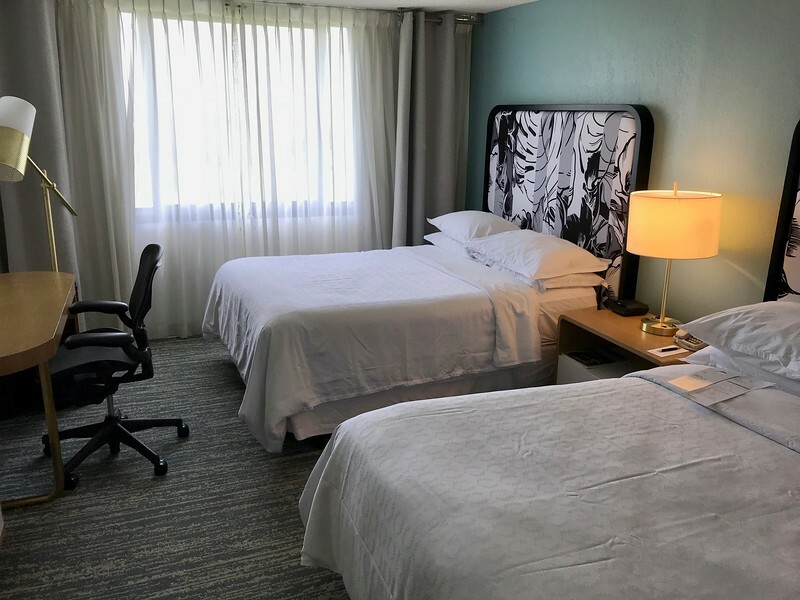 The night before my flight I stayed at the Sheraton Miami Airport Hotel which could not be more conveniently located to the airport. 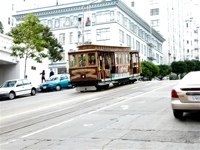 It is across the street from the Rental Car Center and Transportation Hub. The hotel has a shuttle to the airport. 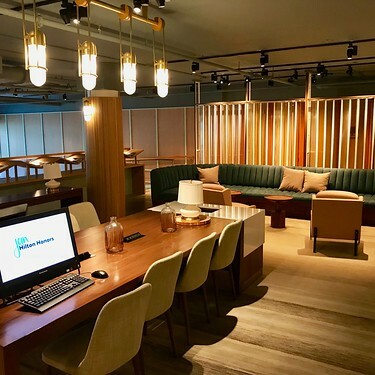 I stayed on one of the floors that allows access to the terrific business lounge which had enough snacks to make a dinner out of in the evening and a good spread for breakfast in the morning. The rooms were modern and clean. My room overlooked a large golf course next door. I had not been to Miami since 1987 when I stayed at the Hotel Fontainebleau for a tech conference. The conference was in the heat of the Summer and Miami in the 1980s was not as welcoming as Miami is today. I was intimidated by the city then and charmed by it now. 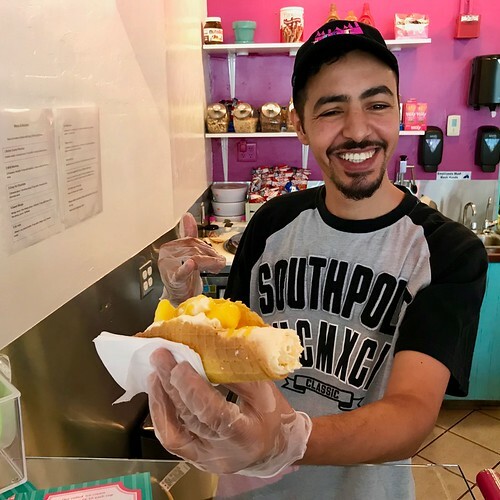 It is a colorful, vibrant, diverse and delicious city! I find myself intimidated by the idea of Miami, but I love architecture walks and tours. I may have to consider it during off-peak season! 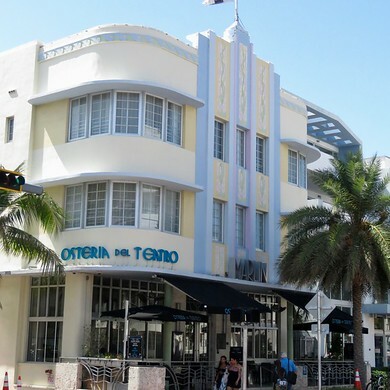 I loved the Art Deco architecture of Miami. It makes that city so unique! Art Deco Architecture always interesting to me, i can see classic style..